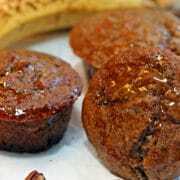 This is a new take on a favorite of mine, Super Moist Bran Muffins. 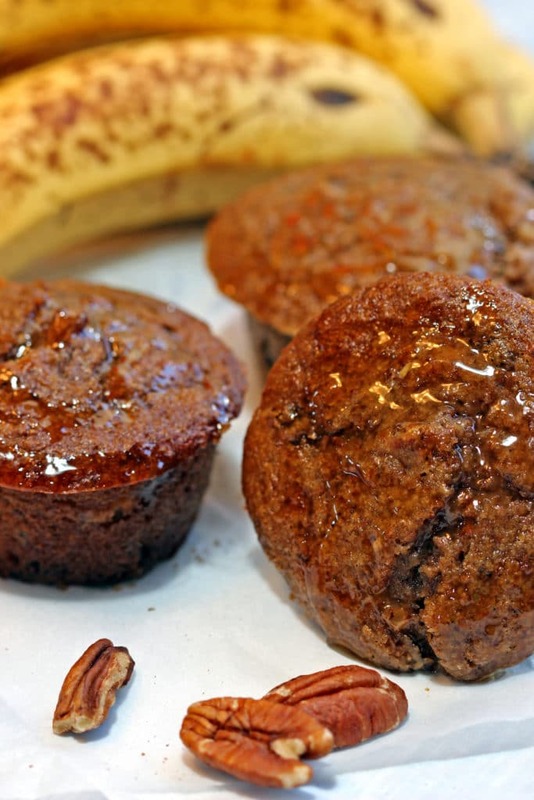 In these I decided to add some mashed bananas and instead of the Orange Blossom Honey, I wanted a maple syrup. 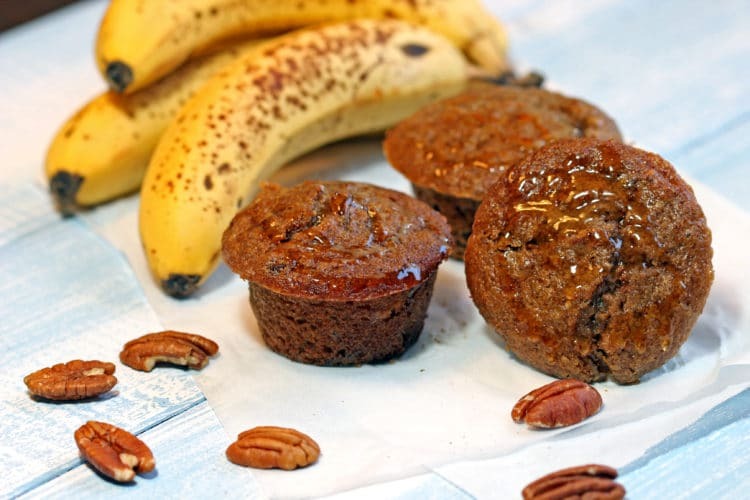 I had a few bananas that were almost turning brown and instead of a fruit smoothie or freezing for later, I decided to make some of these muffins for the arrival of our house guest for the weekend. 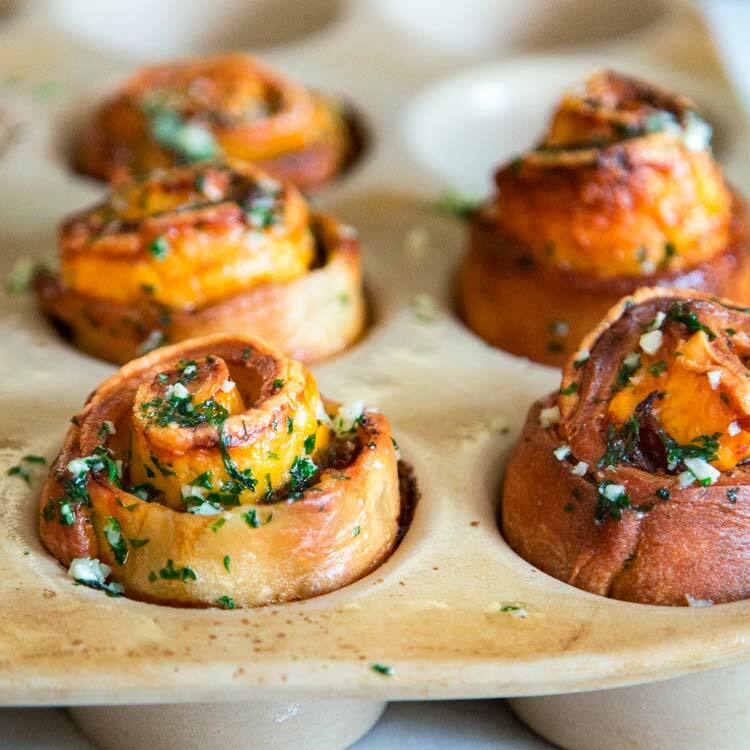 Plus, these freeze really well for leftovers! 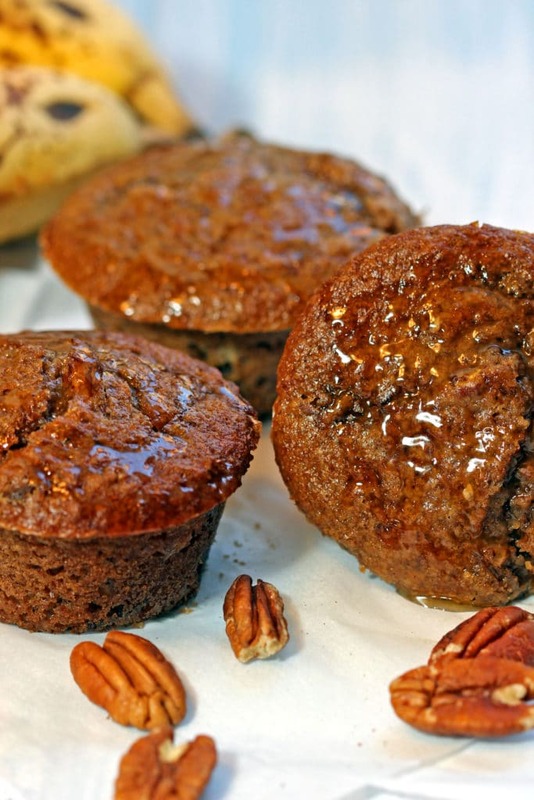 Super moist and dense, these are great for breakfast with coffee. This batch should make a dozen large muffins. 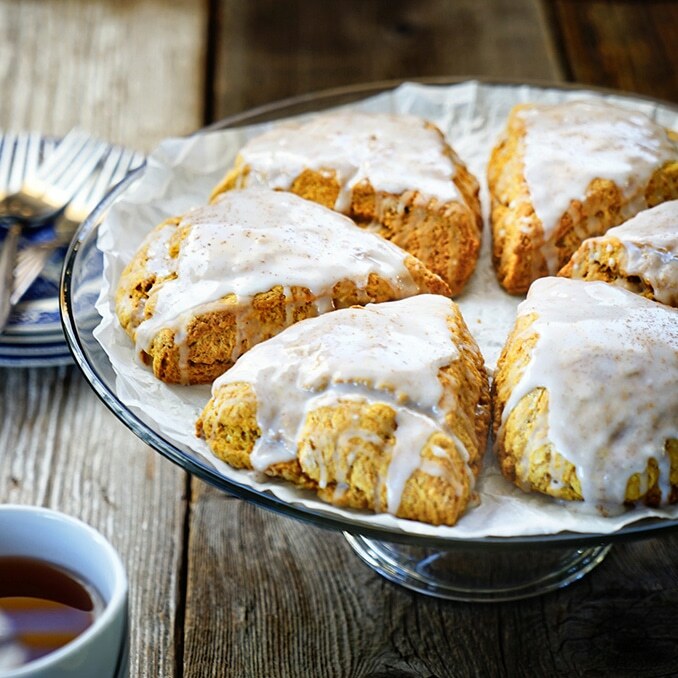 With the drizzle some good maple syrup on top to soak in as they cool, you’re set up for a great start to the day! 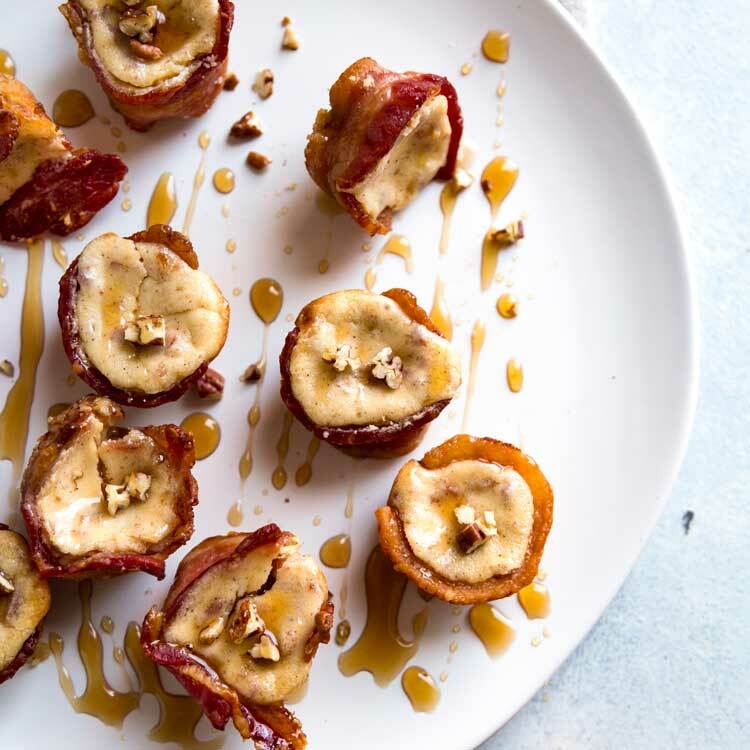 In a small bowl mash the two bananas and set aside. In another small bowl I poured the boiling water over 1/2 cup of bran cereal, mix in oil and set aside. 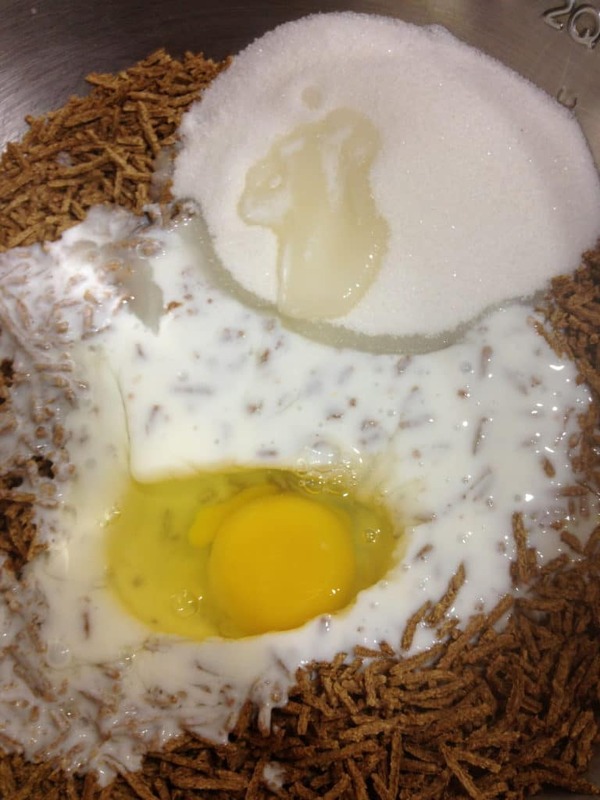 Next up I mixed the egg, sugar, buttermilk and remaining bran cereal. This is all coming together nicely and these come out so good, dense and most importantly, moist. Add both bran mixtures together, then add sifted flour, soda and salt. 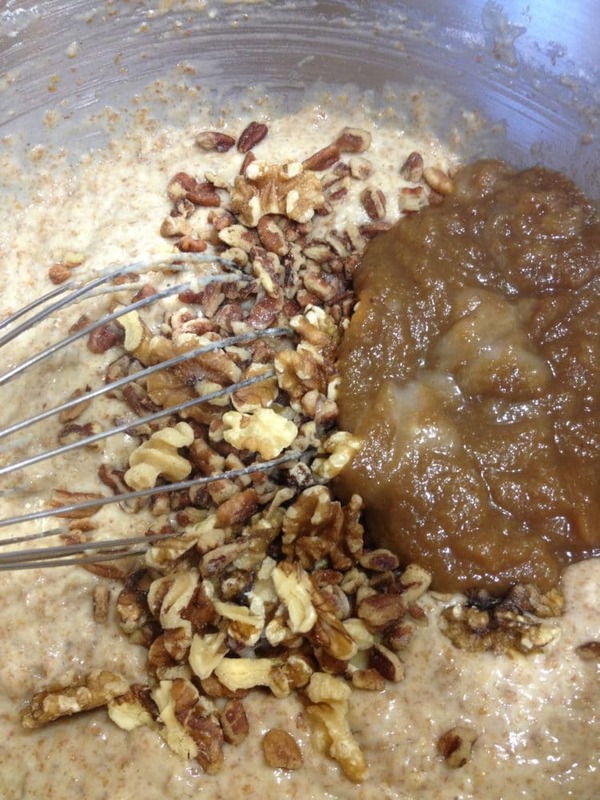 Next stir in the apple butter, mashed bananas, nuts and raisins. Mix all thoroughly to incorporate completely. 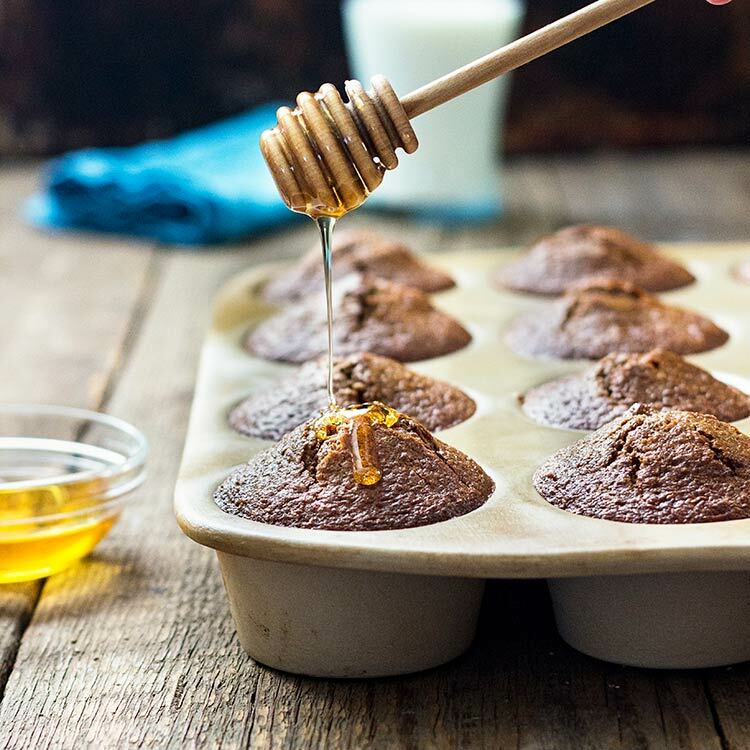 I like to use my ice cream scooper to get the batter into each muffin mold, 1 scoop does the trick! 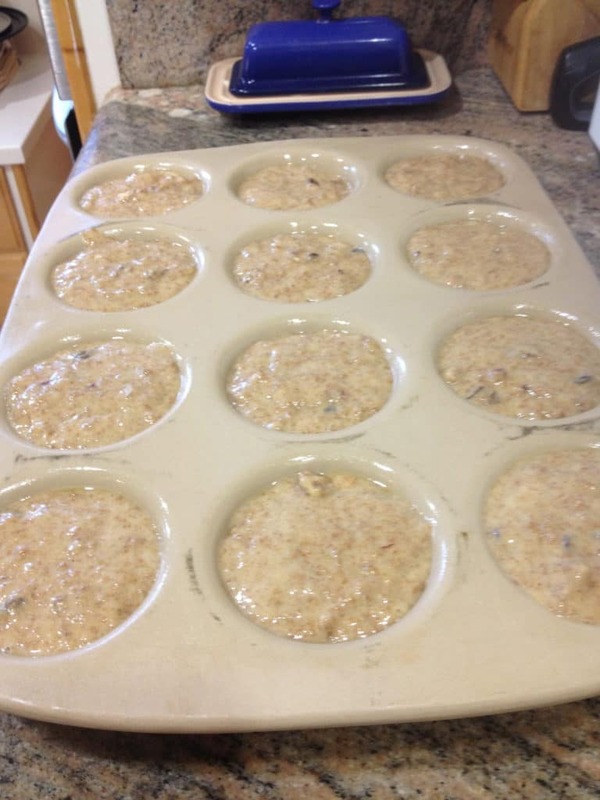 Scoop or pour into 12 muffin (paper lined) or greased muffin tins or stone pan and bake for 18 to 22 minutes. 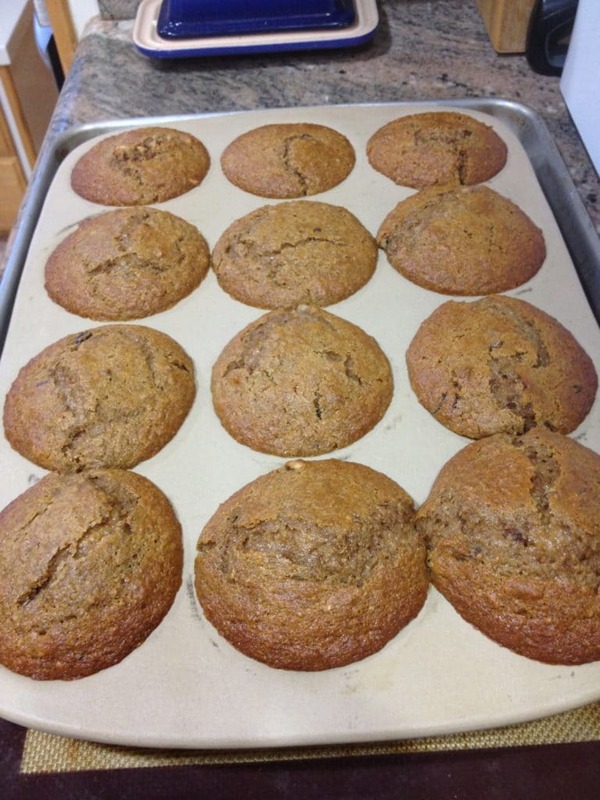 It makes a perfect batch of 12 large muffins, with the caps nicely mounded after cooling and the centers super moist. As long a toothpick inserted into the middle comes out clean you’re good. 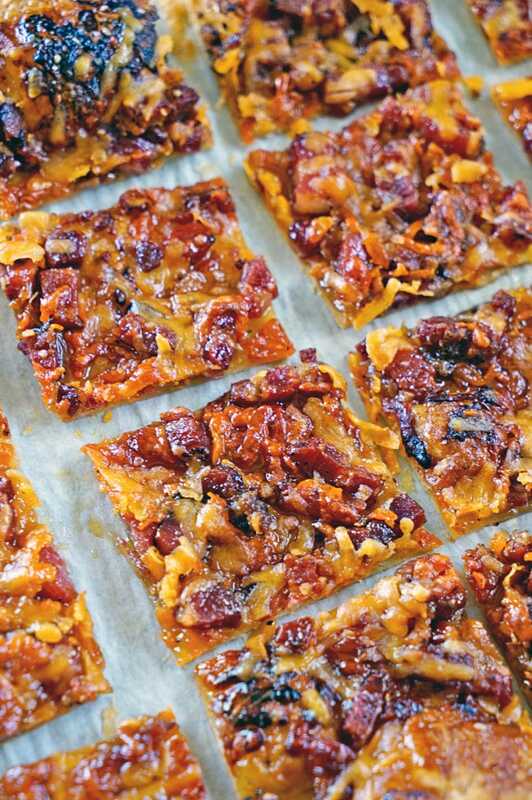 Remove from oven and drizzle with maple syrup and let cool. For these Maple Banana Bran Muffins I use buttermilk in the batter of bran cereal and mashed bananas. 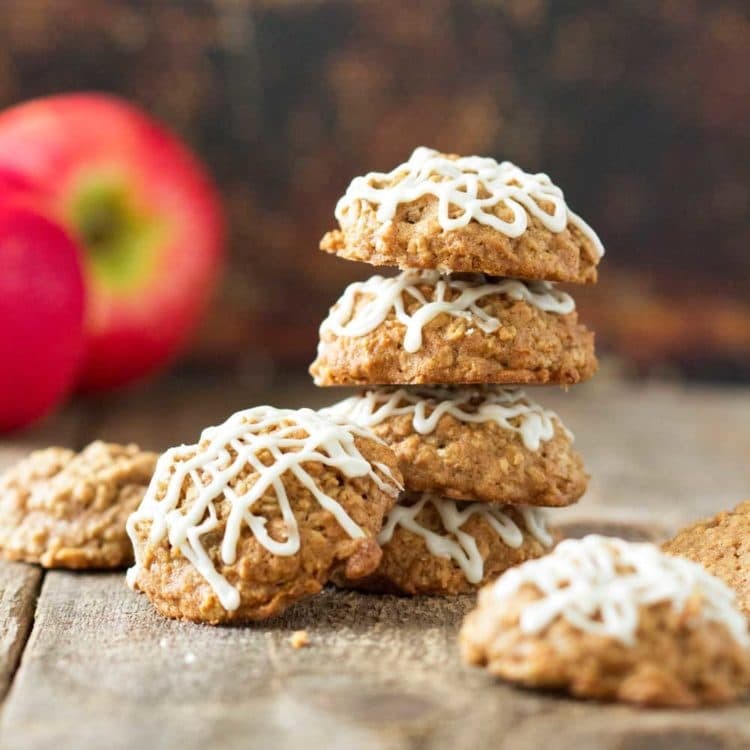 They get a drizzle of maple syrup after baking. In a small bowl mash the two bananas and set aside. 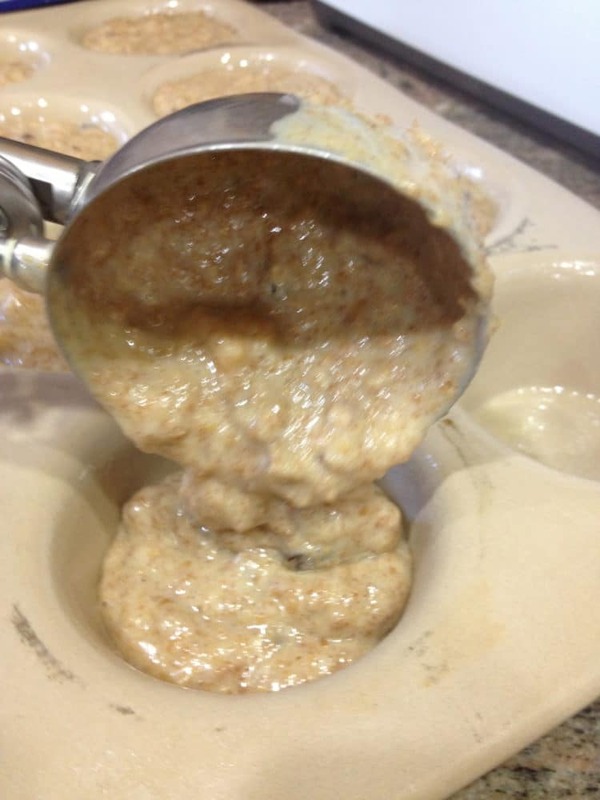 In another small bowl pour the boiling water over 1/2 cup of bran cereal, mix in oil and set aside. In another bowl mix egg, sugar, buttermilk and remaining bran cereal. 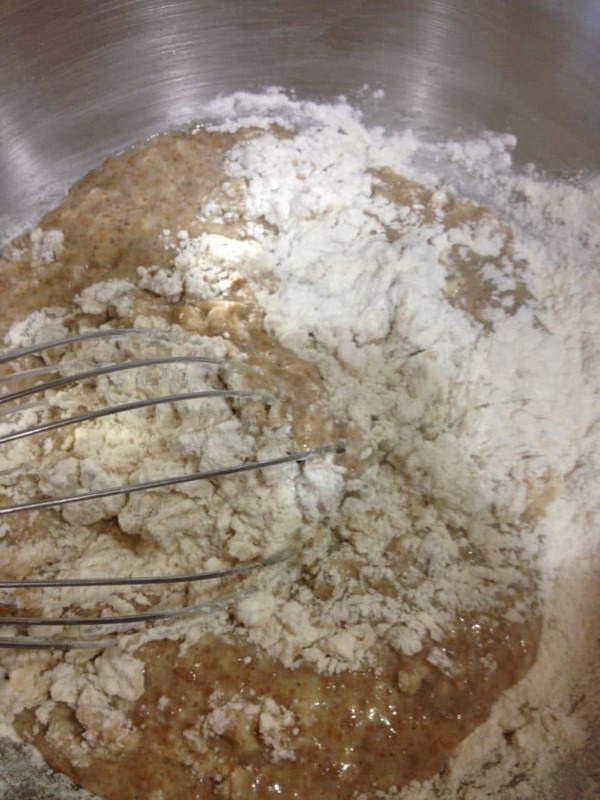 Add both bran mixtures together, then add sifted flour, soda and salt. 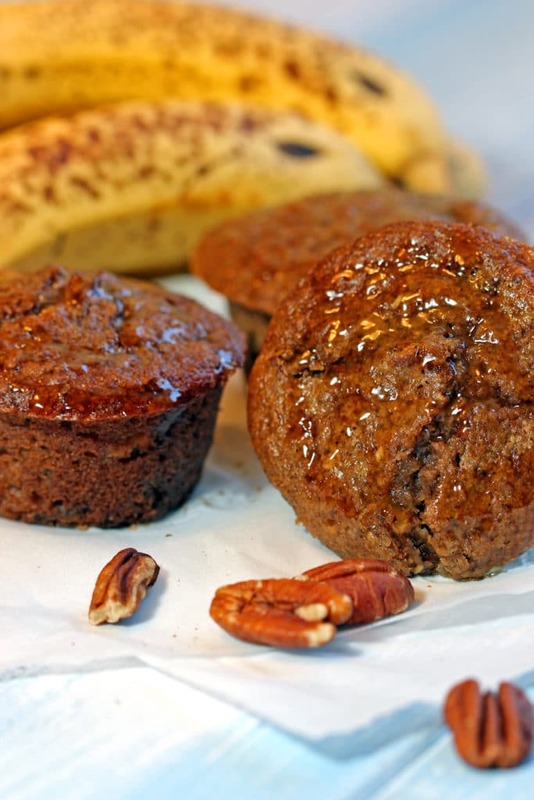 Pour into 12 muffin (paper lined) or greased muffin tins or stone pan and bake for 18 to 22 minutes. As long a toothpick inserted into the middle comes out clean you’re good. 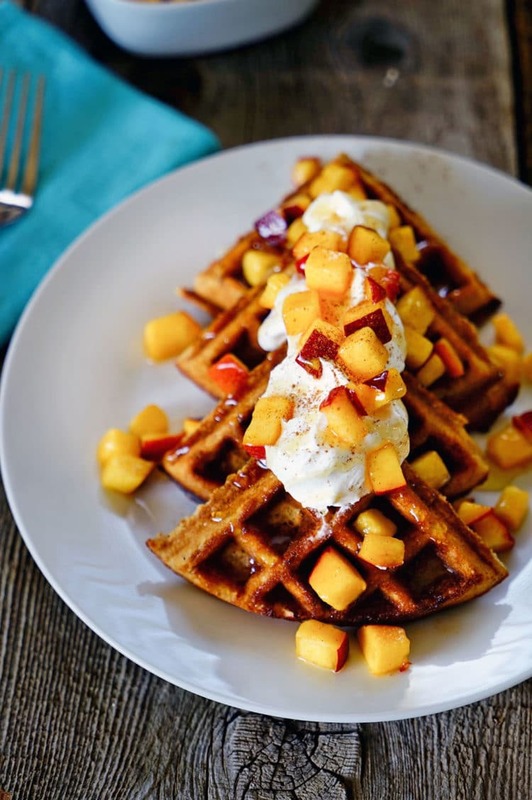 Remove from oven and drizzle with maple syrup and let cool. 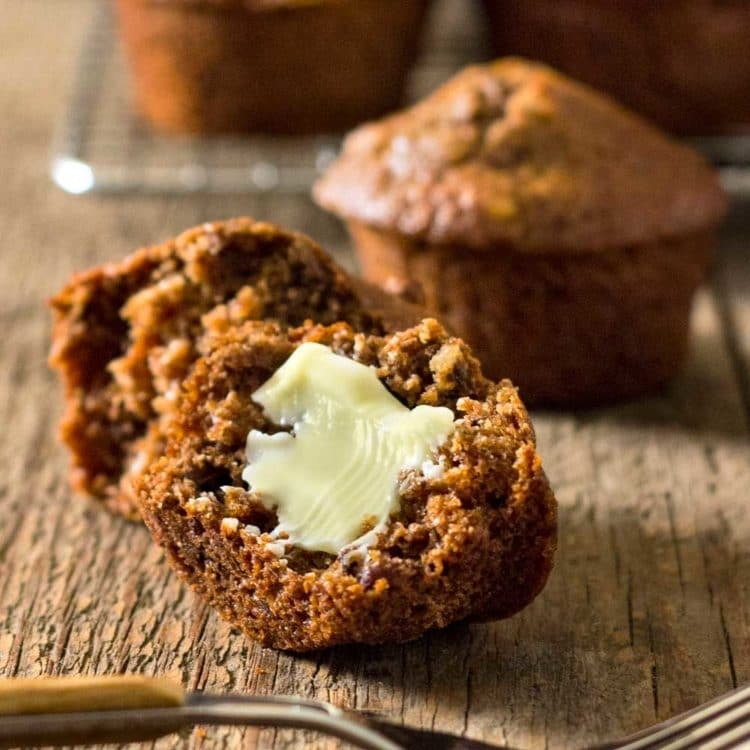 I’m making these muffins tonight, I’ll let you know how they turn out.